I am available to run 3 hour workshops in a relaxed and friendly atmosphere in the North West of England at your request. You can hire me to run acrylic painting workshops at various levels or for drawing and shading workshops. All equipment will be provided. Details of the different workshops available are below and can be booked for a minimum of 3 people up to a maximum of 10 in a location arranged by yourself. Please note that the venue has to be suitable for the amount of people attending. To enquire about arranging a bespoke workshop please fill out the form on the Contact Me page. I also have workshops available to book at Cloud 9 Gallery in Bacup and at Craft and Crumpet in Accrington, Lancashire, UK. There are limited places available, so book now to avoid disappointment either in store or via the buttons at the bottom of this page. 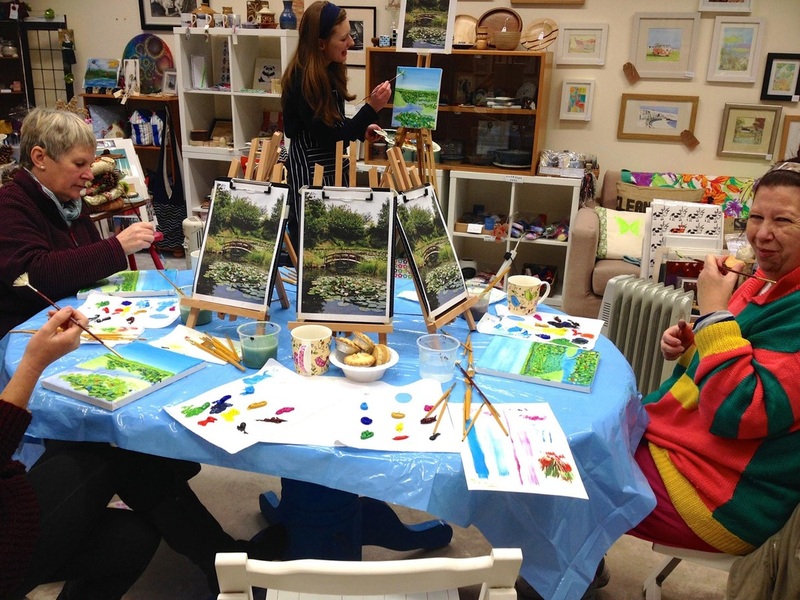 Christine will be leading a course for beginners which will provide an introduction to acrylic painting. You will learn about basic equipment and techniques using acrylic paints and then be guided through your first creation on canvas. Each workshop will be different and could be either a landscape, seascape or flower painting. Christine will be leading a course for the more advanced artist. You will learn about advanced techniques and equipment using acrylic paints and then be guided through your creation on canvas. Each workshop will be different and could be either an animal, bird or portrait painting. Christine will be leading a course for those wanting to learn how to draw or looking to develop their drawing skills. You will learn about drawing techniques and shading using graphite and coloured pencils and then be guided through your creation on paper. Each workshop will be different and could be either a still life, flower, animal or portrait drawing. 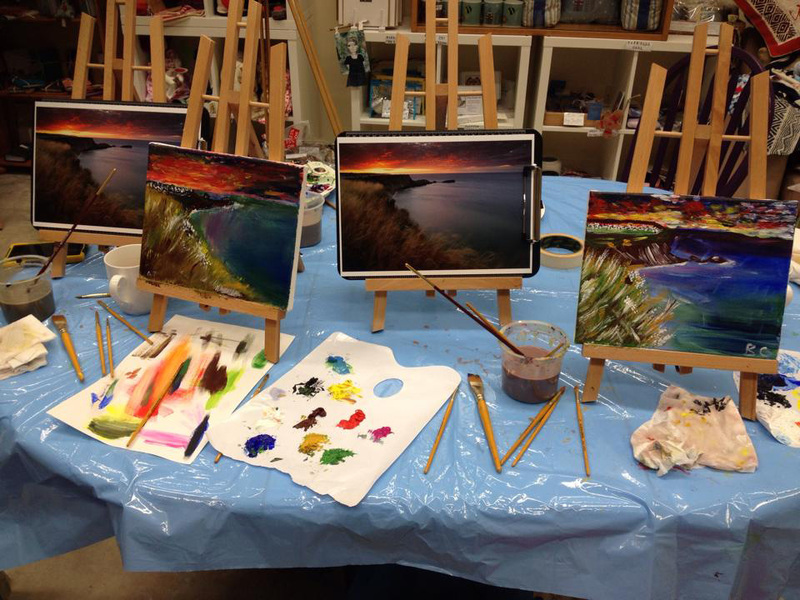 Join Christine for a night of art, wine, & fun! “Pinot & Picasso” is instructed by Christine Heyworth. 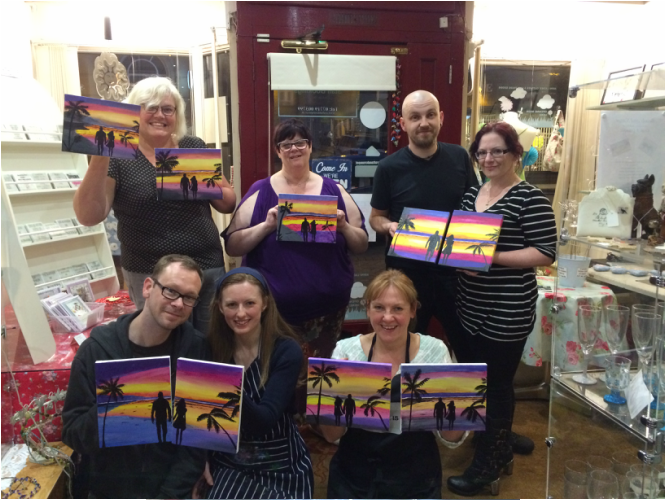 She will be walking you through the steps to paint a beautiful masterpiece in a fun, laid back manner. ANYONE over 18 is welcome. Bring your own wine and partake in a little liquid courage to embrace your inner Picasso! “Pinot & Picasso” is for EVERYONE… no special, artistic talent required. Lets drink a little, paint a little, and have a lot of Fun, Fun, Fun! Take your canvas home and hang it proudly in a special place!